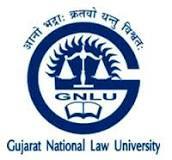 Gujarat National Law University invites Expression of Interest from Faculty Members of reputed University/College/Institute with the reasonable years of experience for teaching a full course titled, “Public Policy, Administration and Governance” at the integrated law programme (BA LLB Honors) of GNLU for Semester I only, i.e., January–April 2019. For any queries please contact Dr William Nunes on wnunes@gnlu.ac.in or on 8128650855. Last date for submission of CV – 03 December 2018 before 1700 hrs.